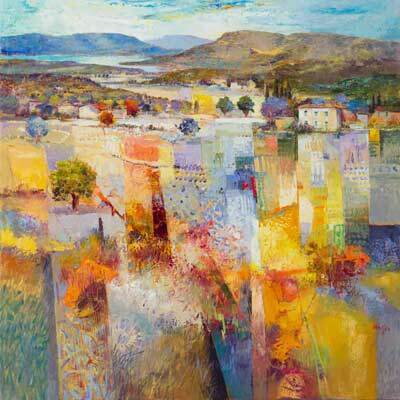 Gerhard Nesvadba was born 1941 near Frankfurt, Germany. In 1943 his parents moved to Vienna, Austria. At high school drawing and painting remained a strong favourite subject and his professor, so impressed by his talent, offered him private lessons to teach him various painting techniques. The young Nesvadba saw his aims in abstract compositions and when he had his first exhibition in Stockholm, Sweden the reception was outstanding. Further exhibitions followed in 1974 in Göteborg (Sweden), Copenhagen (Denmark), Hamburg and Frankfurt (Germany) and Vienna (Austria). To complete his studies, he visited many museums all over Europe. Travelling a great deal, he was deeply impressed by the variety of the European landscape. One time, going home from Sweden to Austria in marvellous summer weather he decided to begin painting impressionistic landscapes. 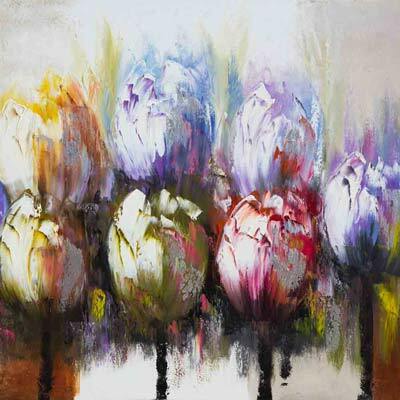 His success with these new paintings was so extraordinary that he continued this style. With his accomplished use of light and shade, contrasting and harmonious colours, he creates a plasticity, giving his landscapes a unique feeling of depth and spaciousness. Our eye meanders across flowering meadows, coming to rest in the shade of the trees to then move on across wide fields and lose itself in the far distance. 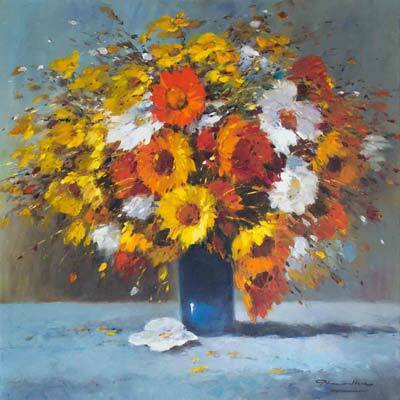 It is no wonder that Gerhard Nesvadba’s floral pieces, which combine his masterful use of colour with the technique and ability of such an accomplished painter, are so popular with his collectors. 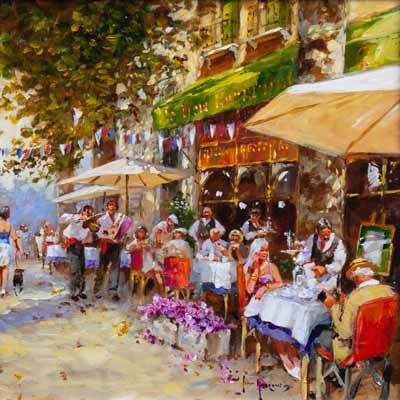 Indeed, today Gerhard Nesvadba is an artist of worldwide renown and his exhibitions are numerous. 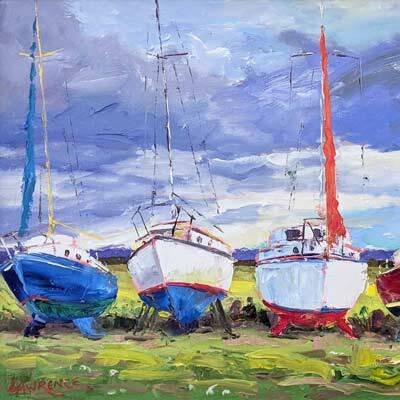 Forest Gallery has represented Gerhard Nesvadba for over 15 years. If you have any special requirements or requests please get in contact with the gallery.